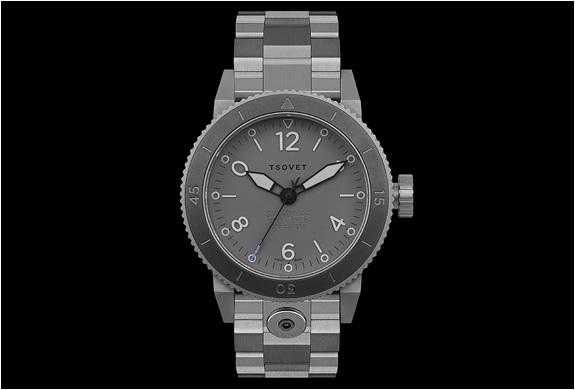 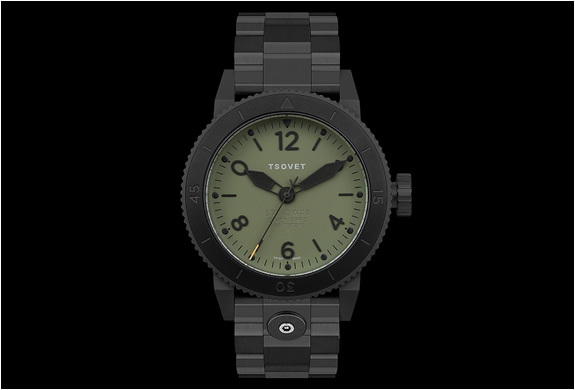 New watch by Tsovet, the SVT-DW44 model is inspired by classic diving watches. 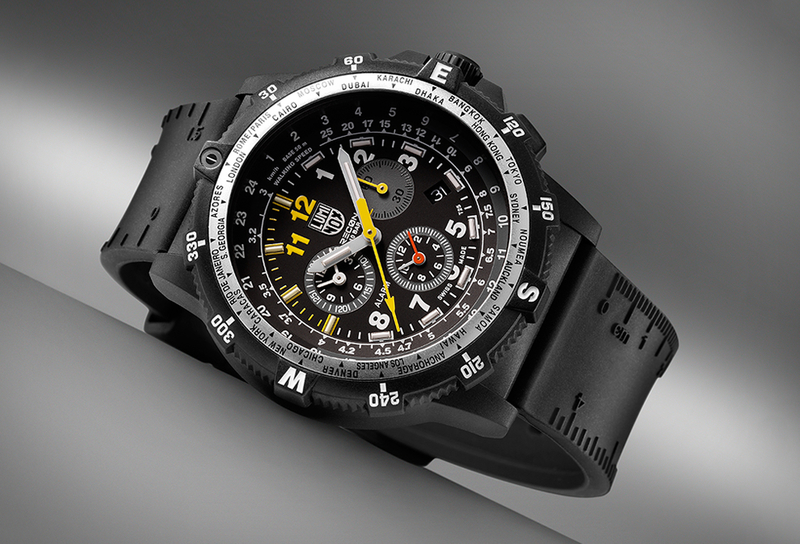 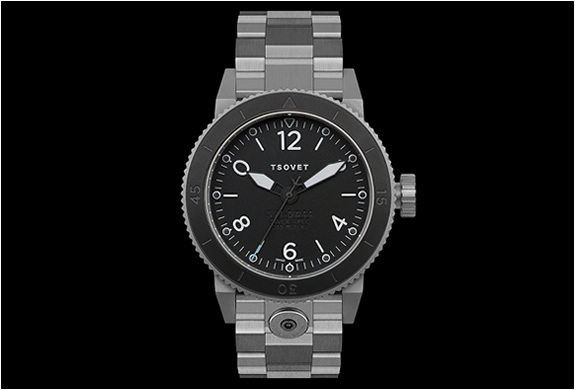 Made from Stainless steel, the rugged dive watch features a 44mm case with rotating bezel, and reinforced pressure gaskets giving it a depth rating of 20atm / 200 meters. 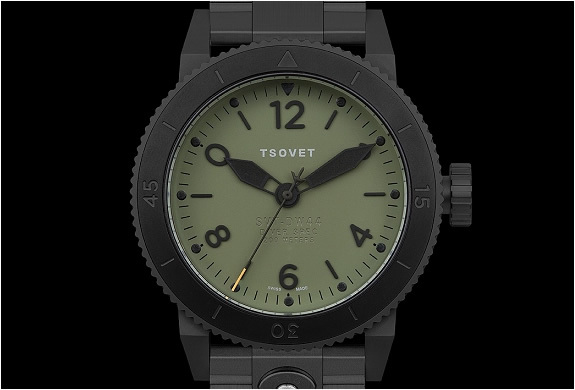 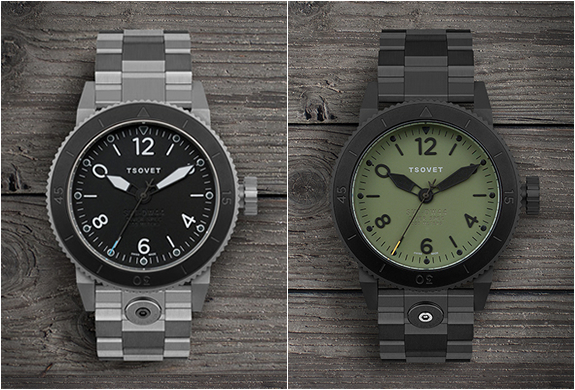 It is available now at Tsovet´s online store in three styles.